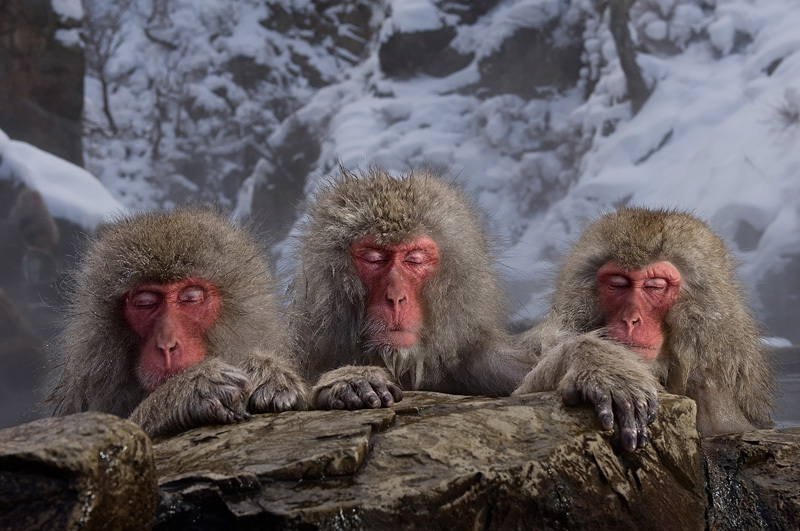 These snow monkeys are just übercool. During the cold winter months they like to bathe in the natural hot springs, very clever. For most animals, water is just something they need to drink or wash with, but these guys really know how to enjoy a warm bath. Photographed on a winter afternoon at Jigokudani, Japan. This image is part of a series of four that won me the overall title 'International Nature Photographer Of The Year' at the International Photography Awards (IPA).